My pancake addiction is well documented. 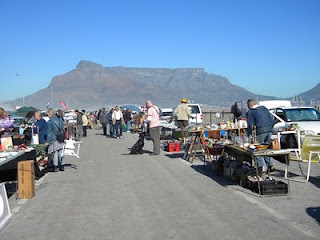 As is my fondness for the Milnerton market. Wedged between the harbour railway line and industrial Paarden Island, this is where I trawl for Voortrekker Monument centenary bowls and vintage glass Murano ashtrays. 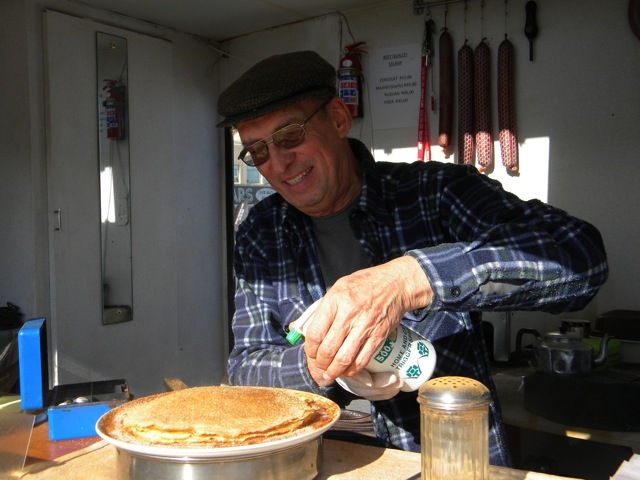 It is also where Jan Maastenbroek, an ex-systems analyst/computer programmer has been making and selling pancakes for the last 11 years. He has a specially rigged caravan and usually makes between 400 -500 pancakes a day on weekends and public holidays. He mixes enormous quantities of batter with a specially modified electric drill and paint mixer in large industrial sized buckets. His pancakes are perfect. lightly dusted with cinnamon sugar and a light spray of lemon juice. 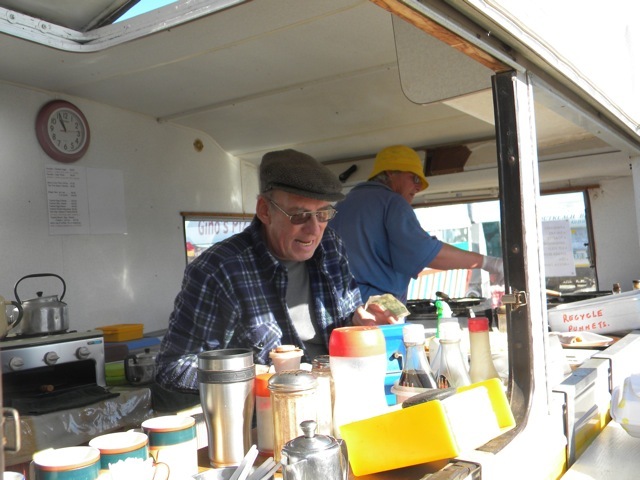 He is a popular member of the market community, and the tiny tables and cushioned stools around his caravan are in high demand. He sells, tea and coffee, old-fashioned toasted sandwiches as well as homemade ginger beer. But his pancakes are The Business. 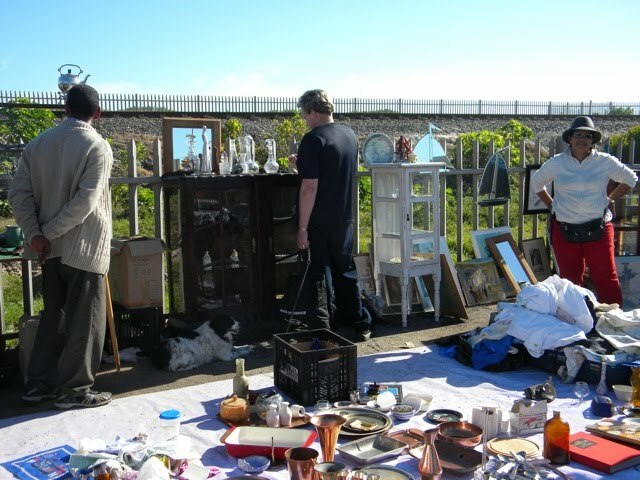 The past few times I've been to the market he hasn't been there and I left feeling hard done by, even though each time I cradled a successfully acquired small brown and cream bowl, or pieces of heavy coloured glass. But yesterday, he was there, and upon enquiring he told me that yes he hadn't been at the market for some time, as he had been extremely ill. 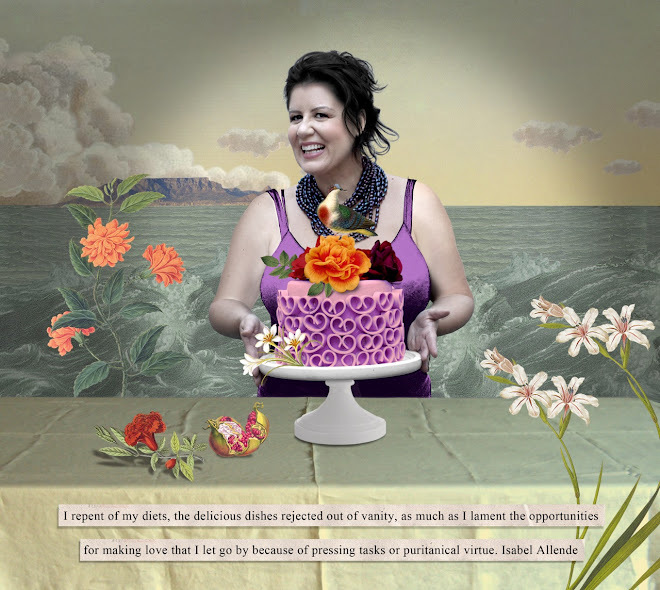 But that time spent in hospital undergoing surgery and treatment meant that he was now well again. And very grateful to be alive. There was a radiance about him. His joy and gratitude at being well and back at the market was clearly evident. We ordered two pancakes each. And then went back for more. Life is too short not to.